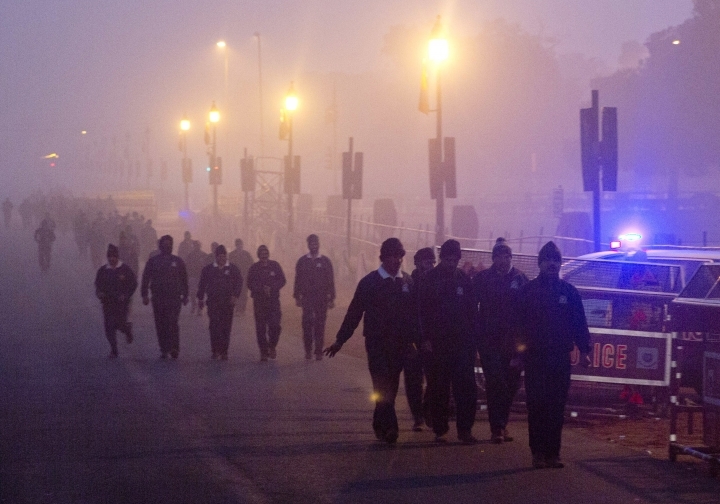 NEW DELHI — Indian authorities have ordered firefighters in the capital to sprinkle water from high-rise buildings to settle dust and stop garbage fires and have banned construction activity as hazardous air quality affects millions of people. New Delhi recorded one of the highest pollution levels of the year on Sunday with the air quality index, measuring sulfur dioxide, carbon monoxide and nitrogen dioxide, touching 450. The air started improving Wednesday with an increase in wind speed. However, the level of PM 2.5, tiny particulate matter that can dangerously clog lungs, exceeded 320 on Thursday, more than 13 times beyond what the World Health Organization considers safe, according to the U.S. Embassy reading. A government advisory asked people to avoid jogging outdoor and use masks. The government has banned diesel vehicles that are more than 10 years old. It also ordered builders to cover construction sites to stop dust enveloping the area. "There are so many cars ... there is so much dust. It all goes inside (our body). If we don't wear a mask then we face a lot of (health) problems," said Om Prakash, a traffic police constable wearing a protective mask on a New Delhi road. 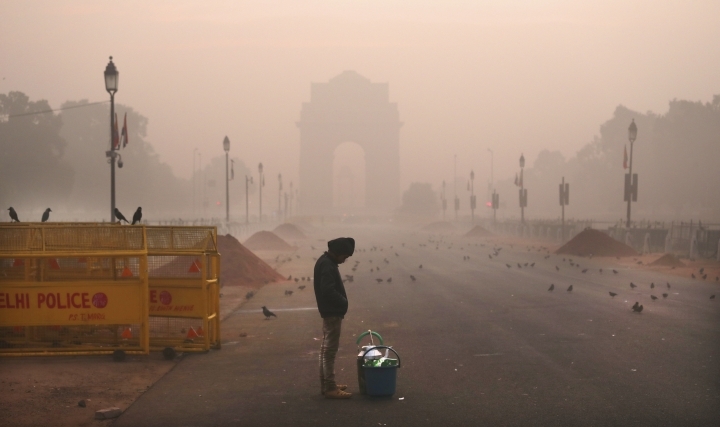 India's air pollution comes mostly from diesel fuel-burning vehicles, coal-fired power plants and crop burning. 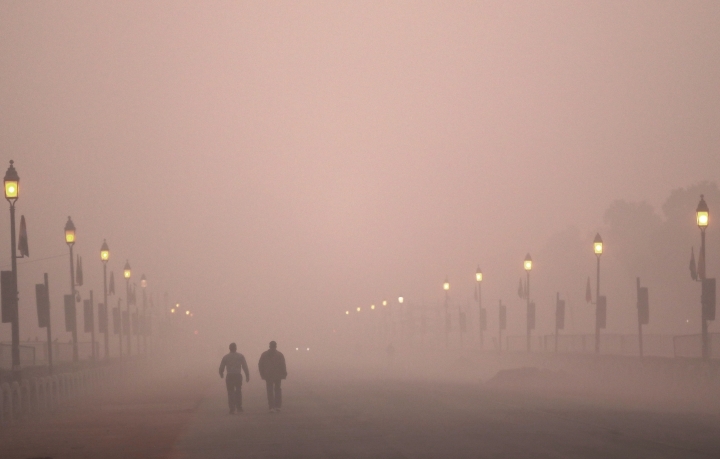 It worsens in the dry winters, as winds die down and pollution pools over the Delhi plains. Vehicular smog mixes with smoke from festival-season fireworks as well as countless illegal pyres of garbage burned by homeless migrants to stay warm as temperatures near freezing. And the construction sends up clouds of dust. 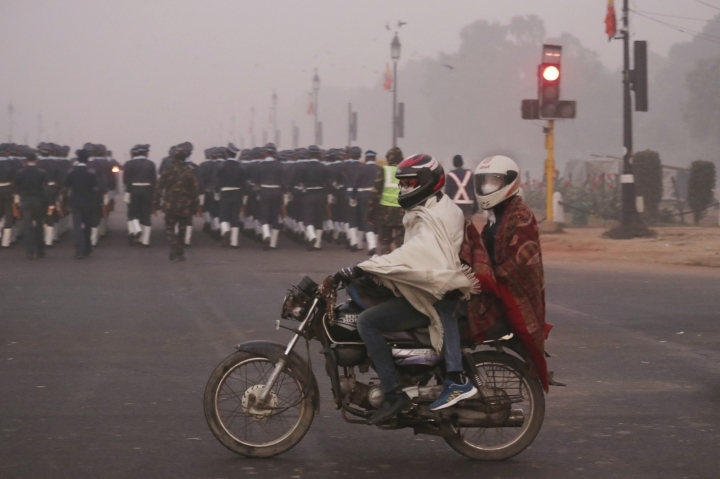 Vivek Chattopadhyaya, a senior program manager with New Delhi-based Centre for Science and Environment, said that air quality most of the days in and around the Indian capital during the winter season was "very poor, poor and severe." "Delhi's air quality, when we say improvement, what we notice is that it falls from severe to very poor days. None of the days are good, satisfactory or even moderately polluted," he said. "We need to meet the quality standards, which are the safest standards for the people to breathe air. So that should be our target." The Indian capital saw some success following a 1998-2003 program that removed power plants from the city center and adopted compressed natural gas, CNG, for running buses and rickshaws. The buses had run on diesel and the rickshaws on gasoline and highly polluting kerosene. Of all possible fuels, CNG releases the smallest amounts of particulate matter. But years later the pollution levels are back up.